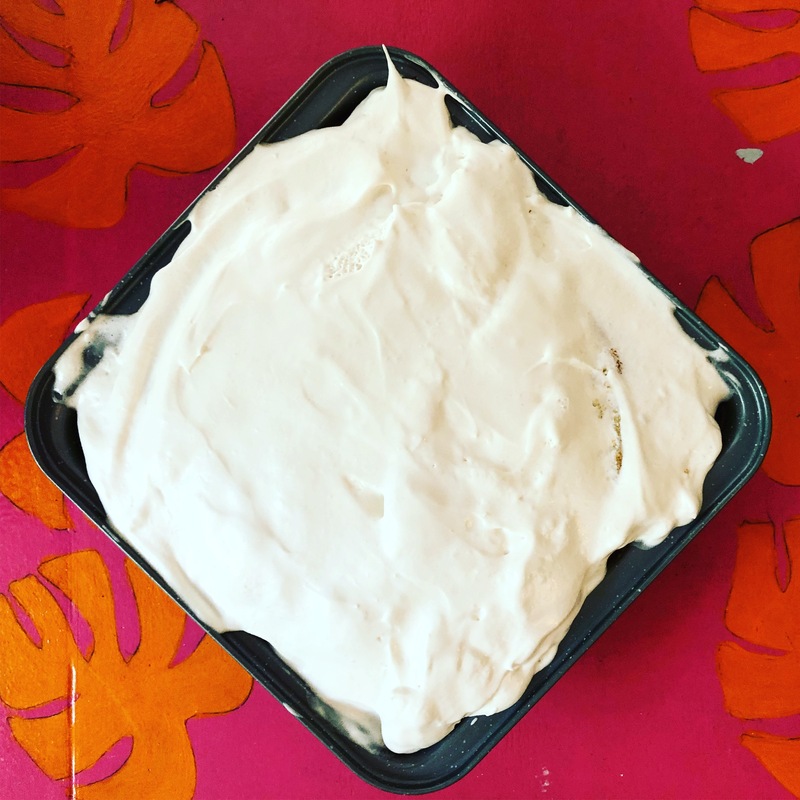 Inspired by Pusser’s Rum’s Painkiller Week in April, I wanted to make a tasty sheet cake that didn’t take a lot of fuss. This has become my go to recipe for quick and boozy parties. The best part is that you can mix yourself a Painkiller to drink while you bake. It really couldn’t be finer. Grease a 9"x13" cake pan with grease. Stir together the dry ingredients and set aside. Beat the eggs and the sugar together until creamy. Add half of the dry ingredients and beat again. Add the coconut milk, pineapple juice, Earth Balance, vanilla and almond extracts and beat to combine. Add the remaining dry ingredients and beat just until combined. Divide the batter between the greased cake pans. Bake in the center of the oven for 35-40 minutes, until the cake is very lightly browned and a toothpick inserted in the center comes out clean. Remove and let cool at least 30 minutes. Use the end of a long wooden spoon to poke holes in the cake. At least 1 inch apart. Mix your Painkiller cocktail. Make it double if you drinking along. Pour 1 full serving of Painkiller over your cake. Get it in all dem holes. Dump the coconut dairy topping on top, spread evenly.